The Murray Hotel is an authentic Western hotel with modern amenities in the beautiful destination of Livingston, Montana. Restored to its role as the premiere lodging in Livingston, the Murray is a gathering place for locals and visitors. The Murray occupies 4 floors with 30 room or suites that are tastefully furnished with attention to modern comfort and the hotel's historic legacy. All the pieces are in place for a great getaway: a century-long reputation, close proximity to world-class recreation and unsurpassed charm. The entire hotel is a non-smoking facility with a rooftop patio that is available for smoking of just enjoying mountain views. 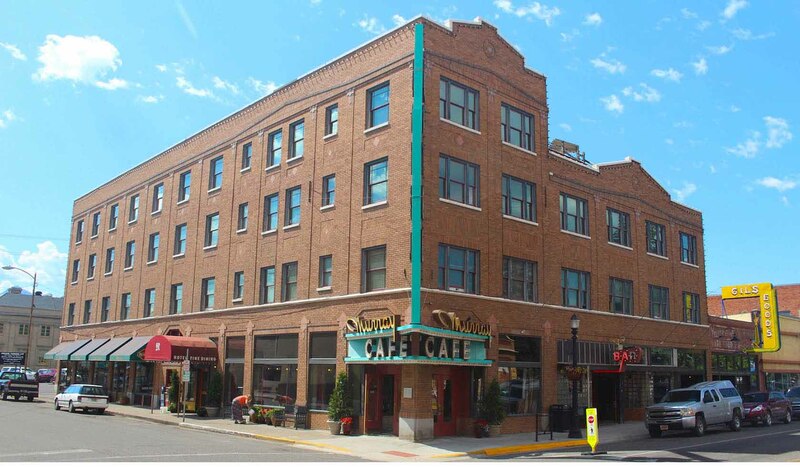 The Murray is Livingston's only downtown hotel and is pet friendly. Located off the lobby, the Second Street Bistro is one of southwest Montana's premiere restaurants, with an extensive wine list and gourmet meals served in a sophisticated yet warm atmosphere. With its live music and authentic feel, the Murray Bar is a popular spot to enjoy Livingston's nightlife.